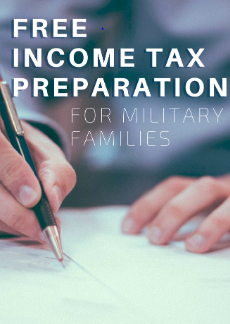 It seems tax season is here sooner each year It can be more complicated for military families. There are some filing preparation services available that are either discounted or free. It is VAMBOA’s pleasure to bring them to your attention and make this task just a little easier and less stressful. TurboTax – offers discounts on software for active-duty military. Servicemembers who are an E5 or below can obtain free federal and state filing with Free Edition or Deluxe. There is also a $5 off discount available for Premier, Self-Employed and Turbo Tax Live federal products. Those with an E6 and above pay grade are eligible for a $5 discount or more on all TurboTax federal products. 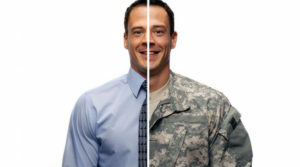 TaxSlayer – has a military offer that allows active duty to file military to e-file a federal return for free. State returns are additional. IRS Free File Software – You can file your federal individual income tax return for free using tax-preparation-and-filing software. If your income is below $66,000, it is free for federal and state return options. If your income is above $66,000 you can use Free File Fillable Forms. Military OneSource – This is such a great resource in so many areas for those who serve. They provide free tax preparation and e-filing software as well as easy access to tax consultants and free in-person preparation through approved Volunteer Income Tax Assistance offices. Their easy to use software, MilTax is designed for the military community too. Military Installation Tax Centers – Many large military installations worldwide offer servicemembers and their families free income ta filing assistance via VITA, the Volunteer Income Tax Assistance Program which is sponsored by the IRS. VITA volunteers are trained by the IRS to provide assistance with military specific tax issues that include combat-zone tax benefits and more. They know their stuff when it comes to military taxes! H&R BLOCK – The Army & Air Force Exchange Service is joining forces with H&R BlOCK to offer military members and their families a 10% discount in select Exchange locations worldwide. Please see a list of locations for CONUS and OCONUS at the bottom of this article. The 2019 VA Disability rates saw a 2.8% increase based on the Cost-of-Living Adjustment (COLA) increase that was announced by the Social Security Administration. To calculate the VA disability rate increase the average of the indices of July, August, and September 2018 was compared with the 2017 3rd quarter average. 2019 disability rates will be effective 12/1/2018. See the 2019 VA Disability Rates below! VA disability rate increases are determined by Cost-of-Living-Adjustments (COLA). See our COLA increase watch for more information. As tax reminder, do not include VA disability benefits as gross income on income tax statements. VA disability rate tables for veterans with a disability rating of 10 percent or higher. Eligible veterans with disabilities can receive up to $3,625.99 per month as a tax free monetary benefit. Veterans with disabilities can use the following VA disability charts to determine how much financial assistance they are eligible for. Basic Rates – 10% – 100% Combined Degree Only. Rates for each school-aged child are shown separately. They are not included with any other compensation rates. All other entries on this chart reflecting a rate for children show the rate payable for children under 18 or helpless. To find the amount payable to a 70% disabled Veteran with a spouse and four children, one of whom is over 18 and attending school, take the 70% rate for a veteran with a spouse and 3 children, $1,680.48, and add the rate for one school child, $186.00. The total amount payable is $1,866.48. Where the veteran has a spouse who is determined to require A/A, add the figure shown as “additional for A/A spouse” to the amount shown for the proper dependency code. For example, veteran has A/A spouse and 2 minor children and is 70% disabled. Add $106.00, additional for A/A spouse, to the rate for a 70% veteran with dependency code 12, $1,623.48. The total amount payable is $1,729.48. Making and sticking to a realistic budget is an effective way to help keep your business profitable. Budgets involve making revenue forecasts and estimating your costs, which will determine whether you make a profit or loss. Albert is your financial genius – a smart and powerful financial assistant. Albert connects to all of your accounts and helps you put your financial plan on auto-pilot. The app provides a team of human financial geniuses to guide you through your financial journey and answer your most complex questions. Clarity displays your financial picture, helps you cancel wasteful accounts, and delivers insights to you. The built-in service scans your accounts for subscription fees and verifies your usage of the service or product. It also has tools to remind you to pay bills, budget, and save. Fudget is a simple and fast alternative to feature-rich, complex budget planner / personal finance apps. There are no categories to manage, no charts to interpret and no learning curve. If you share expenses with another person, Honeyfi allows you to choose what to share with your partner and see all of your balances and transactions in one place. You save time when you simplify your finances. Mint keeps all of your bills and money together in one place, making it easier than ever to track.The more accounts, cards and bills you link, the more the app will help you stay on budget. See what you have and what you owe. Understand where money goes and where you can cut back. Create budgets, track investments, discover new ways to save and more. Wally lets you take control of your money. Balance your income and expenses. Understand where your money goes. Set and achieve your financial goals. Seamlessly and intuitively. 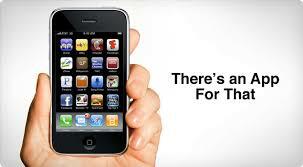 The app gives you a 360 view on your money; what comes in, what goes out, what you have saved, what you have budgeted. You Need a Budget helps you to be mindful of how you are spending your money, asking you to think about what you want your money to do before you spend it. According to the most recent census data, there are 2.45 million veteran-owned businesses in the U.S. Veteran entrepreneurs contribute to the economy through their businesses and their willingness to hire veterans. There are a number of funding resources available to veterans in order to get their business off the ground, or expand an existing business. •	The Office of Veterans Business Development, through the Small Business Administration (SBA) supports new and existing veteran entrepreneurs and military spouses. The program offers a variety of training and financial services. The SBA Veterans Advantage Guaranteed Loans program offers loans of $150,000 or less with no guaranty fee. Larger loans carry a low guarantee fee. SBA Express Loans have no upfront borrower fee for eligible veterans and military spouses on loans up to $35,000. Leveraging Information and Networks to Access Capital matches businesses with SBA-approved non-profit lenders. The 7(a) Loan Program is the SBA’s most common loan program, and includes financial help for businesses with special requirements. •	The Department of Veteran Affairs is a great starting point when looking for financing, and has created the Veteran Entrepreneur Portal (VEP), which can help you quickly identify financing resources for your business. •	The Military Reservist Economic Injury Disaster Loan provide funds to eligible small businesses to meet necessary operating expenses that it could have met, but is unable to meet, because an owner/essential employee was “called-up” to active duty. •	The USDA Veteran and Minority Farmer Grant, run by the Department of Agriculture, aims to bring traditionally underserved people into farming through training and technical and financial assistance. 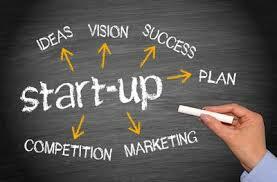 •	The VetFran(R) program is designed to help veterans start their own business. While these aren’t traditional business loans for veterans, the program offers financial incentive for veterans to launch a franchise. In addition to lending resources, don’t discount the value of networking resources. Who better to share advice than those who have walked the path before you? •	American Corporate Partners links veteran entrepreneurs with successful businesspeople for training and mentorship. •	National Veteran-Owned Business Association presents you with a great networking opportunity and the chance to learn much more about running a business. •	SCORE Foundation Veteran Fast Launch Initiative offers advertising, marketing and business mentoring, all at no cost. •	Syracuse University’s Institute for Veterans and Military Families provides entrepreneurial training. Their Entrepreneurial Bootcamp for Veterans program is free for post-9/11 veterans. •	Veterans Business Resource Center provides business consulting and mentoring. 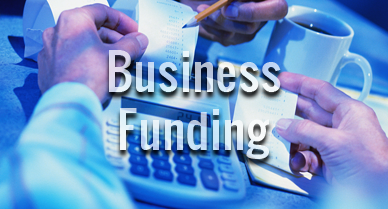 •	Veterans Business Services can assist in obtaining capital for your business.